Toronto Gold Stars is a blog series that focuses on the new or obscure locations in Toronto. As a business, we’re dedicated to delivering the best service and prices for our clients, but we’re also committed to helping them know our city! Every few weeks, we set out to explore the nooks and crannies of our city to uncover hidden gems and other well-kept secrets. Imagine it as urban prospecting—our way of finding the hidden gold stars of our city and sharing it with you all! Spring has finally arrived, and for many of us, this means we can finally break out of our hibernation cycle! 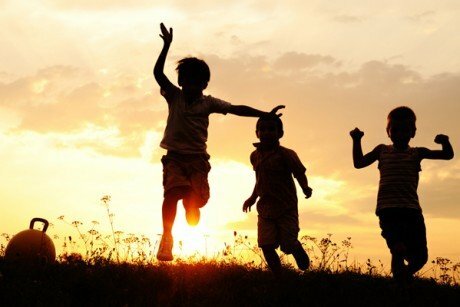 And what better way to enjoy the Spring weather than to go out, have fun and rekindle a few childhood memories? Here are five places in Toronto where you can relive your childhood! Often touted as an indoor playground for adults, Pursuit OCR recently upgraded from its original 9,300 square foot space in downtown to a new 30,000 square foot location in Etobicoke. Inside the sprawling space is an intricate obstacle course that looks like something out of American Ninja Warrior. Neon lights glow amongst a futuristic jungle of ramps, slides, ropes and monkey bars where guests can challenge themselves or just simply have fun. 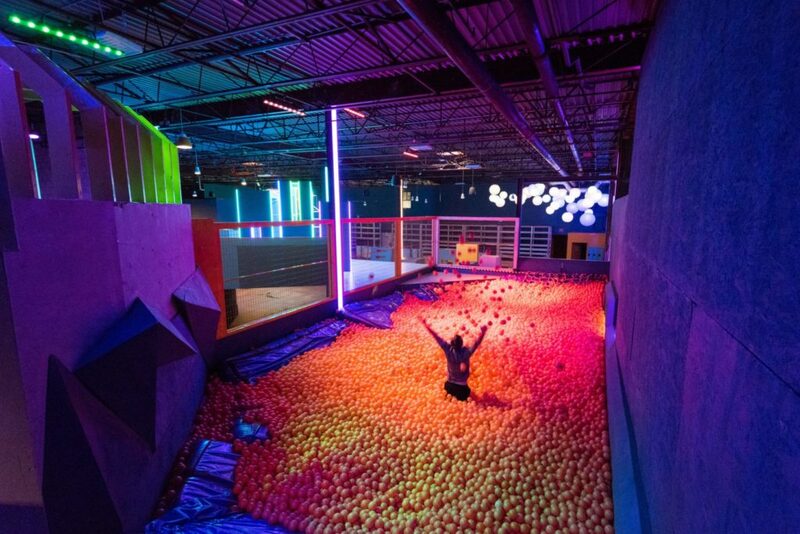 And speaking of reliving your childhood, Pursuit OCR is famous for its giant ball pit with over 100,000 balls, which it boasts as the largest in Canada. A full day of unlimited play at Pursuit OCR costs just $20.00, provided you sign the company waiver first! For those who have never outgrown their sweet tooth, you might want to consider taking a chocolate making workshop! 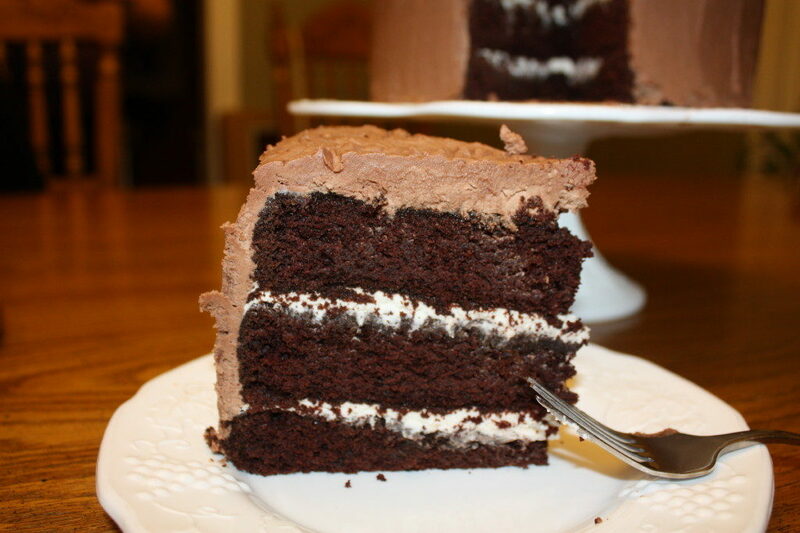 While McCall’s primary focus is the sale of chocolate and baking supplies, the shop regularly hosts classes and workshops on chocolate making, cake decorating and sugar craft. This is great for all candy lovers who are curious about how that sweet stuff is made. McCall’s has a number of classes that vary in subject and level, which are suitable for both aspiring professionals or those who are just looking for a new hobby. For adults who are looking for a real blast from the past, Tilt is a good place to start. Tilt is a full-service bar paired with a massive arcade that features dozens of classic arcade games, pin ball machines, foosball tables and even a console game corner with retro home video game systems. The bar has a nightly $5.00 cover fee, after which all games will be free to play. Mondays have a two-for-one entry discount, while Tuesdays are marked down to a $2.00 special. For food, Tilt regularly serves up simple snacks like fries, poutine, corn dogs and pulled pork. 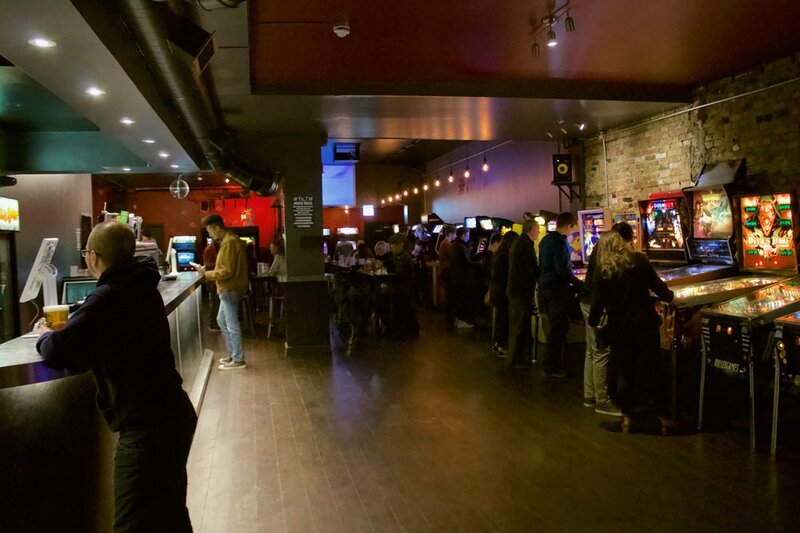 As for drinks, the arcade bar features almost two dozen types of draft beers from five local breweries. For those who are looking to let loose their inner child and experience it with just a touch of nostalgia, this is the place to go! Because you can never grow out of zoos! 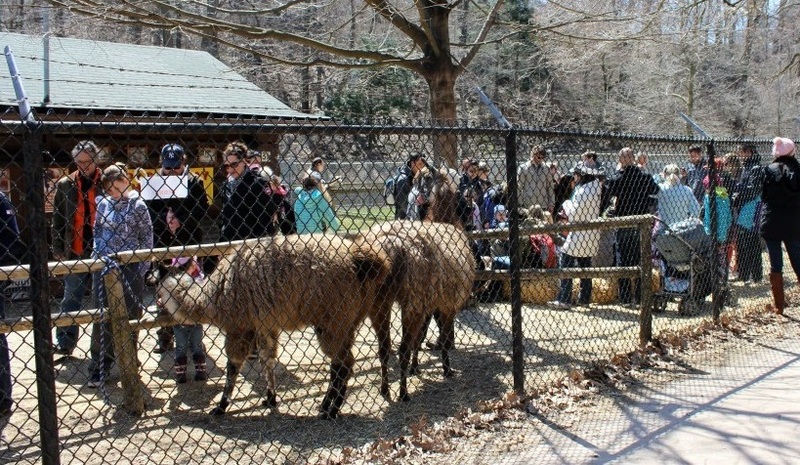 High Park is already well known for its storied history as well as its diverse flora and fauna, but people tend to forget that it also houses a small zoo. Originally established in 1893, the zoo eventually grew from a small pen containing deer to a sizeable park filled with animals such as bison, llamas, sheep, peacocks and wallabies. While it can’t compare to the larger Metro Toronto Zoo, the zoo at High Park is free to enter all year round. The High Park Zoo unfortunately doesn’t have a fully immersed petting area, but at certain hours, the zoo opens up its llama section for an interactive experience and also showcases some exotic birds. All in all, it’s a great place for downtown dwellers who love animals, but don’t want to travel too far! 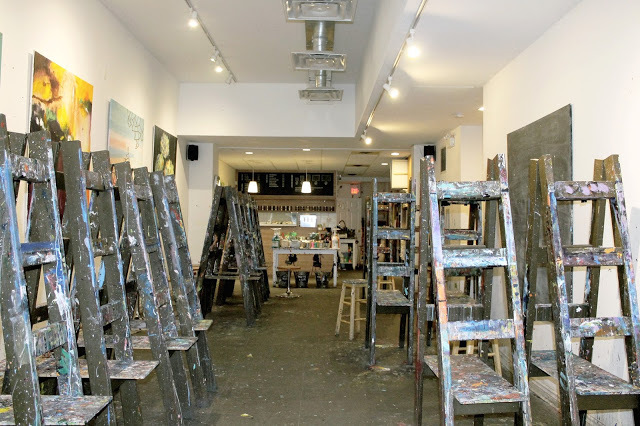 Paint Lounge – 784 College St.
We all remember the fun times we had in art class. Why not bring some of those memories back in your adult life? The Paint Lounge on College Street gives you that chance with their very own initiative, called Social Painting. The idea is to have a fully stocked art studio open to social events like dates, parties and even work events. Aspiring artists at the Paint Lounge are given all that they need to create their individual masterpieces: brushes, paints, canvases and virtually any tool you can think of. Appointments can be created around structured workshops where artists are given step-by-step instructions, or they can be drop-in, where people can paint whatever their hearts desire. Pricing is dependent on the canvas size that you choose. “MINI” 12 X 12” canvases go for $27.00, while the “LONG” 24 X 36” canvases cost $57.00. The Paint Lounge also allows you to bring our own canvases, provided you pay a flat fee of $10.00 as well as $5.00 per square foot. No matter where you go in life, no one ever grows out of their creative streak. This is the place to let it loose!